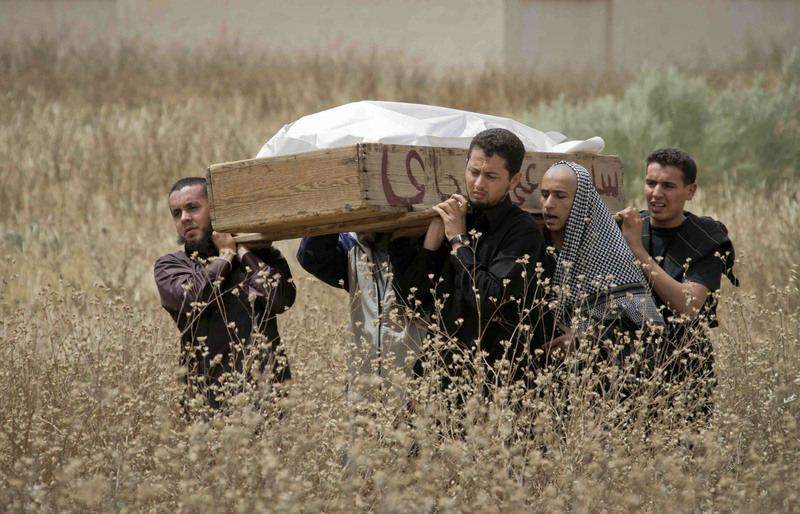 WASHINGTON  The death toll in Libya after more than two months of violence could reach as high as 30,000, an Obama administration official said Wednesday. Gene Cretz, the U.S. ambassador to Libya, said it is very hard to gauge how many people have died in strongman Moammar Gadhafi's crackdown on protesters and the subsequent fighting between rebels and pro-government forces. But he said that U.S. officials have seen figures ranging from 10,000 to 30,000. As recently as two weeks ago, Libyan rebel leaders told Al Jazeera they estimated the death toll to be around 10,000 or so. Many observers say it will be impossible to know the exact human cost of the fighting in Libya for some time, as human rights groups and journalists have been limited in their ability to report in the country because of the dangers presented by the back-and-forth fighting between the rebels and government troops. Cretz said the U.S. keeps getting reports of "bodies that have been uncovered on the beach" as it maintains communication with contacts it established when it operated an embassy in Libya. He also described Libya's Transitional National Council in Benghazi as a "political body that is worth our support," suggesting that the United States could provide further assistance to individuals seeking to set up an alternative system governance to Qaddafi's 42-year dictatorship. However, Cretz stopped short of saying the administration would recognize the council as Libya's legitimate government as NATO allies France and Italy have done. He spoke a day after the administration eased its sanctions on Libya, allowing opposition forces to sell the oil it controls and use the income to buy weapons and other supplies, while the White House ordered the expenditure of up to $25 million in surplus, nonlethal goods and commodities to support and protect the rebels.